This optional 2,722-kg. capacity sliding jack platform grants you the versatility and convenience you’ve been looking for and a great addition to your four-post lift. Thanks to the easy-slide design, there’s now a hassle-free way to adjust the runways of your four-post hoist to accommodate different tread widths. The precision grooves allow the jack platform to be positioned anywhere under a vehicle, making this optional sliding jack perfect for wheel and suspension work. 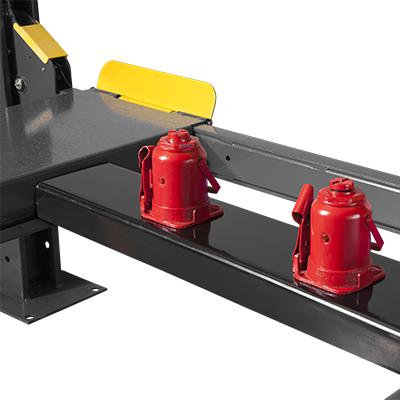 The JP-6 is an adjustable sliding jack platform.